FTC disclaimer: This is a sponsored post. All opinions are my own. U.S. Cellular offers a FREE PRINTABLE Parent Child agreement to help you discuss safety of the Internet, cell phone usage, limits, and courtesy with your teen or tween. You don't even need to be a U.S. Cellular customer to access this, although I have been for 10 years and highly recommend them. 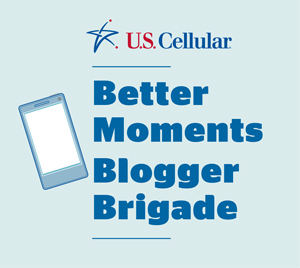 This month in various locations around the country U.S. Cellular is offering seminars on “Better Moments Device Workshops” and Parent Child agreements. While you might think your child is responsible, and think it’s enough to hand them a phone and verbally set forth some guidelines, it’s actually a good idea to have them written down so there is no confusion as to what you expect from them. To make it easier to have these conversations U.S. Cellular has developed a parent Child agreement. After all, 91% of parents set some type of limits on their child’s cell phone usage and 63% of those parents said it would be helpful to have a type of agreement set up between them and their child so they could not only keep an eye on the usage of the device but their child’s behavior with it as well. To help facilitate these discussions and develop something that works for your family, you can download a FREE customizable agreement. This has different ideas such as sharing the phone’s password with parents so they can unlock it at any time, never using the phone while driving, silencing the phone while in a theater. Basically, just the things you would come up with if you were trying to think of all the guidelines you’d come up with for your child. U.S. Cellular has just done the difficult step for you and compiled them so you can print them off, go over them with your child, check the ones that are appropriate, and also add any more of your own. How simple is that? This way the agreement can work for any family, and you can still set your own limits such as what hours the phone can be used on school nights. In addition, this month U.S. Cellular is offering FREE workshops aimed at families trying to decide when it’s time for a child’s first cell phone. Mobile devices are a great way to help families stay in touch. Basketball practice running late? Your daughter can text you and let you know she won’t be on time to dinner. How convenient is that? I can remember when I was in drama when I was in school and waiting for a ride (or searching for quarters to use the payphone to call my mother) but today a phone is in the back pocket ready to send off a text to Mom. But the question remains, WHEN is a good time to get a child her first cell phone? U.S. Cellular wants to help you make an informed decision on that. While they are a wireless carrier, they also want to make sure you have the plan that is right for your family, and if your child is ready for a phone, they want to help you make that step, but if not, they know you will be interested in one a little ways down the road. Either way, your child’s safety is a priority. That’s one reason they developed the Family Protector Plan. These workshops to learn what plan as well as device are best for your specific needs are being located throughout the country. 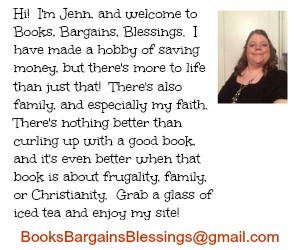 To find the one nearest you just go to this link: http://goo.gl/E4mDH The closest ones to me are at the U.S. Cellular Location on Emily Drive in Bridgeport WV on July 17, and the other one near me is July 20 at the U.S. Cellular Store on Winchester Road in LaVale, Maryland. You can just visit the link above to find the one closest to you or call your local U.S. Cellular location and their sales associates would be happy to help you find the closest workshop! What guidelines do you have set forth for your teen in regards to cell phone usage? How did you approach this conversation?